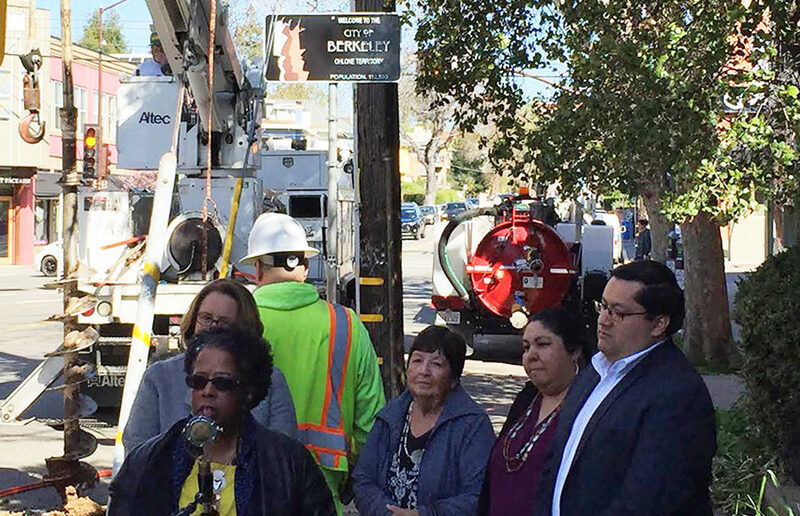 The city of Berkeley installed new signs Feb. 7 throughout the city deeming Berkeley as “Ohlone Territory” in homage to the city’s Ohlone roots. Ruegg & Ellsworth and the Frank Spenger Company are suing the city of Berkeley and the city’s department of planning and development for rejecting their project at 1900 Fourth St. on the grounds that the city’s decision allegedly goes against SB 35. Sounds of bells jingling and leaves rustling in the wind welcomed hundreds of community members to the Indigenous Peoples’ Day Pow Wow on Saturday at Martin Luther King Jr. Civic Center Park. After attempting to develop 1900 Fourth St. for more than four years, West Berkeley Investors ultimately decided to not develop the site Aug. 23. Last week, members of various faith-based social justice organizations met in support of the conservation of the West Berkeley Shellmound. Heres our coverage. Corrina Gould, an Ohlone activist and co-founder of Indian People Organizing for Change, was asked by faith leaders to give a presentation on the effort to preserve the West Berkeley Shellmound. More than 50 community members packed the room — with more people than chairs available — for the Landmarks Preservation Commission meeting Thursday to protest development at 1900 Fourth St., also known as the West Berkeley Shellmound. A 2017 California state law could allow a real estate developer to begin construction of an apartment complex on a site in West Berkeley considered sacred by Ohlone people after years of controversy and debate.